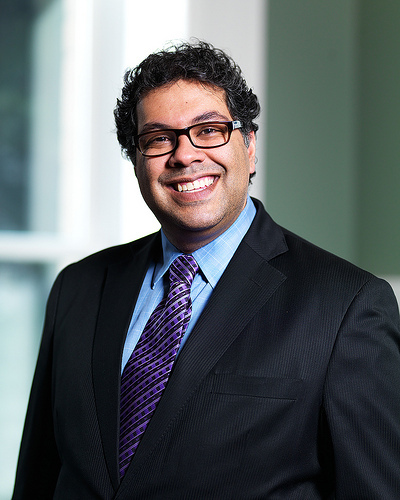 When river flooding inundated downtown Calgary, it caused billions of dollars in damage and tested the leadership of Naheed Nenshi, a first-term mayor who handled the crisis so adroitly that he attracted national and international media attention. How did this former policy wonk and self-styled “brown guy,” a liberal and a Muslim, come out of nowhere to defy the stereotypes? How did Nenshi become the unlikely leader of Canada’s politically conservative energy capital, at a time when oil companies and environmentalists anxiously await a decision from President Obama on the future of the Keystone XL pipeline? In a new column, international affairs analyst Jonathan Manthorpe writes of the remarkable developments today between Iran and the United States, at the United Nations in New York. But hopes for a thaw in the icy relationship are tempered by tough questions – and the reality that Hassan Rouhani does not have ultimate control of Iran’s nuclear weapons program. Has Supreme Leader Ayatollah Ali Khamenei decided a functional relationship with the West is preferable to the armed animosity of the last three decades? If so, there’s little chance he’s changed his view of the world, or his ambitions for his country. The column, in Commentary, can be accessed with a $1 day pass for the entire site, or by subscription. The Intergovernmental Panel on Climate Change released a summary of its fifth periodic report on what’s happening to our planet’s climate on Friday, Sept. 27. The balance of the report, collecting the findings of more than 2,000 researchers over the past half-decade, will be released in stages over the next several months. Most of the heat collecting in the planet’s climate system is going into the oceans—expanding their volumes—while all of the globe’s ice sheets have dwindled. The report was targeted before it appeared by climate-change skeptics who argue that global average atmospheric (air) temperature has not increased in the last decade. Observations show, however, that the last decade was the hottest on record—and the third in succession to be hotter than all previous recorded decades. Facts and Opinions goes LIVE. It’s official folks, we are live. Welcome to our Open House – come in and browse our sections for no charge, before our paywall goes up on Oct. 1. Independent, non-partisan and employee-owned, Facts and Opinions is a new online journal of first-rate reporting and analysis in words and images: a boutique for slow journalism without borders. Today’s column by international affairs analyst Jonathan Manthorpe examines why the relationship between China and Japan is souring, as Japan’s Prime Minister Shinzo Abe loosens constitutional restrictions on the use of the country’s armed forces. Japan’s move is in response to increasing military pressure from China over disputed islands in the East China Sea. Handout, government of Quebec. 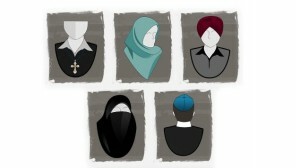 The proposed charter would ban the wearing of kippas, turbans, burkas, hijabs and “large” crosses by employees of public institutions. Opponents of Quebec’s controversial proposed “charter of values” are their own worst enemies. You’d think a workplace ban on kippas, turbans, burkas, hijabs and large crosses worn by public employees would unite religious minorities and other political activists. Instead, opponents bolstered the provincial government proposal by choosing today to hold an ostensibly “multi-faith” rally. The problem with the date is blindingly obvious; it’s inconceivable that it was an accidental oversight. Calling a rally on Yom Kippur – the most holy Jewish day of the year – effectively ostracized all observant Jews. Quebec premier Pauline Marois argues the values charter is needed to promote a sense of identity in the province. Her flip comment that Quebec rejects multiculturalism because in Britain it led to “people beating each other up and setting off bombs” was a diplomatic faux pas – and a crystal-clear glimpse of the thinking behind the charter. The exclusion of Jews from the rally – the failure of charter opponents to accommodate even each other – is a gift to this Parti Québécois position. Canada was never a country of Two Solitudes – an absurd national catch-phrase since Hugh MacLennan’s novel of that name was published in 1945. The fantasy of English/French duality imperiously ignored everyone else – the aboriginals who arrived first, the myriad of Asians, Africans, all the non-English Europeans. Canada has in fact always been “multicultural,” but never more so than now. Remarkably, mostly, multiculturalism works. Remarkably, mostly, Canadians get along. But Quebec’s fierce cultural protectionism, and bone-headed disrespect shown by minorities to other minorities, threaten the delicate balance of accommodations that Canadians mostly manage. The solitudes are a myth. The possibility of many entrenched factions is quite real. Eight years ago international affairs analyst Jonathan Manthorpe authored Forbidden Nation: A History of Taiwan, published by Palgrave-Macmillan of New York. Manthorpe returns to the subject in today’s column, explaining why political upheaval looms in Taiwan as President Ma seeks to retain his party’s leadership, and islanders eye China’s economic impact and political influence warily. Chris Wood’s new Natural Security column suggests we might as well say goodbye to a bunch of Pacific Islands, along with the Majuro Declaration – scrapped by Australia’s new leader, a man in the mould of Canada’s Stephen Harper. A Black Hole is defined, in lay terms, as a piece of space with a gravitational field so fierce that no matter can escape. Since airborne terrorists attacked New York, Virginia and Pennsylvania on September 11, 2001, the world has been pulled toward a metaphoric Black Hole, one created by the terrorists but fed by enraged Americans focused on security at the expense of human dignity, privacy, “rights,” governance, and decency. For a dozen years now this Black Hole has threatened to devour much of what matters in our world, from economics to the arts, from the environment to far too many lives. On that day in 2001 I was sent by my former editor at Time to the Vancouver International Airport, to interview air travellers stranded in Canada by the closure of United States airspace. I remember being almost overwhelmed by the emotions of scores of people I talked to, by their unanimous expressions of sorrow, their camaraderie with Americans, by their shock. Later that week I wrote a newspaper column inspired by that camaraderie, but dedicated to those who lay outside its warmth: the Others. On today’s anniversary of 9/11, with years of futile and retaliatory bloodshed behind us, in a new world defined by paranoid surveillance and enraged schisms, I found myself nostalgic for that too-brief, long-vanished warm camaraderie between most peoples. I found myself acutely aware of how easy it is for all of us, including Americans who happen to be on the wrong side of their own security apparatus, to become an Other. I find the Black Hole terrifying. I learn something new with every piece by international affairs analyst Jonathan Manthorpe. In today’s column Manthorpe looks at the growing rift between Riyadh and Washington, as a symptom of both major change in the national stance of Middle Eastern countries, and a new reticence within Europe and North America to get involved.